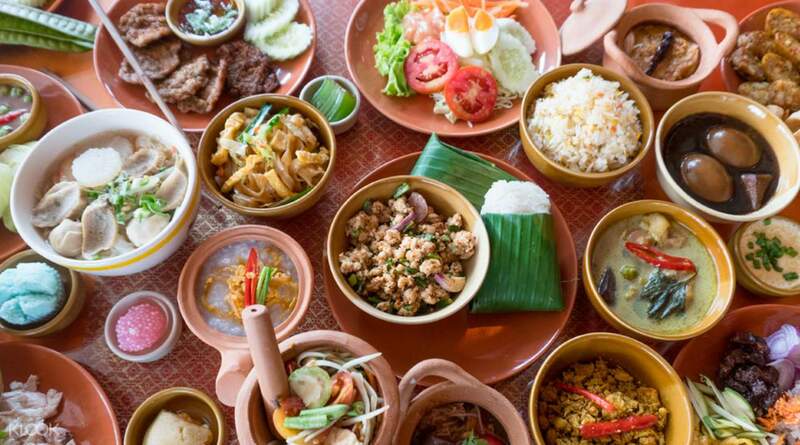 Enjoy Thai food and snacks prepared by locals, including BBQ crocodile! 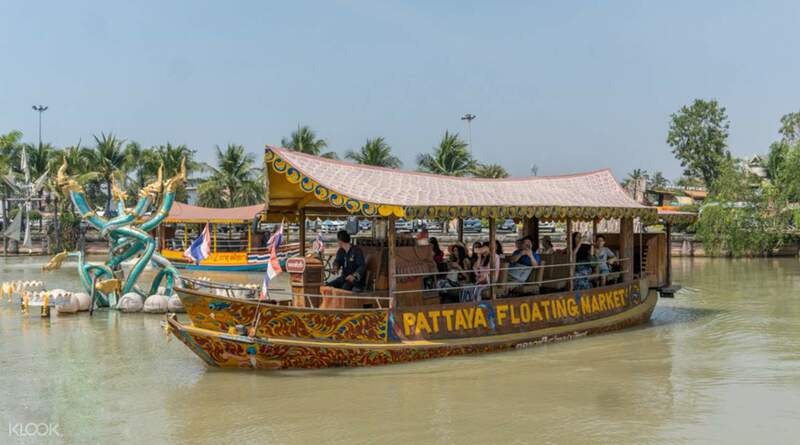 Visit one of the largest man made floating markets in the world and discover everything from traditional handmade toys, silverware, textiles, to little boutiques. Shop for fruits and vegetables at the market stalls, or savour Thai delicacies and snacks prepared by locals. If you're up for it, you might even want to try the crocodile satay! Opt for the row boat rental and paddle your way through the market like one of the water vendors. 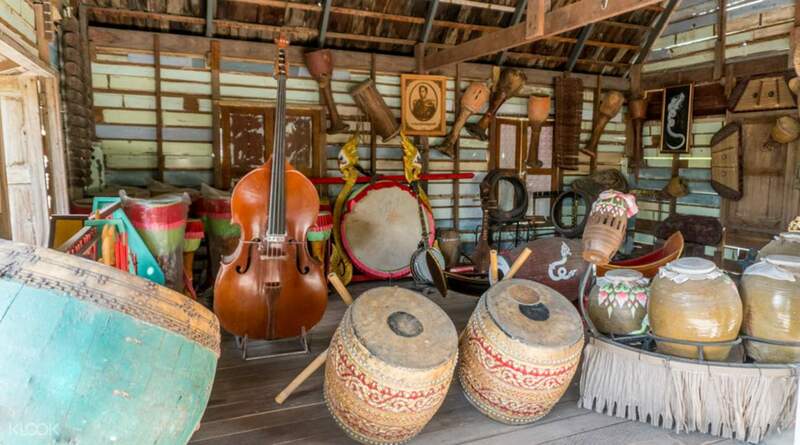 In the afternoon, cultural shows such as sea boxing and dancing occur at different parts of the market which you can enjoy. If you need a little TLC, you can even get a traditional Thai head, foot, or facial massage before you continue exploring the magic of Pattaya. At first glance you would think that it is just a small market, but upon entering you would be overwhelmed by the number of shops and floating boat selling foods. Wide variety of items to buy from clothing, snacks, delicacies, as well as crocodile meat etc. 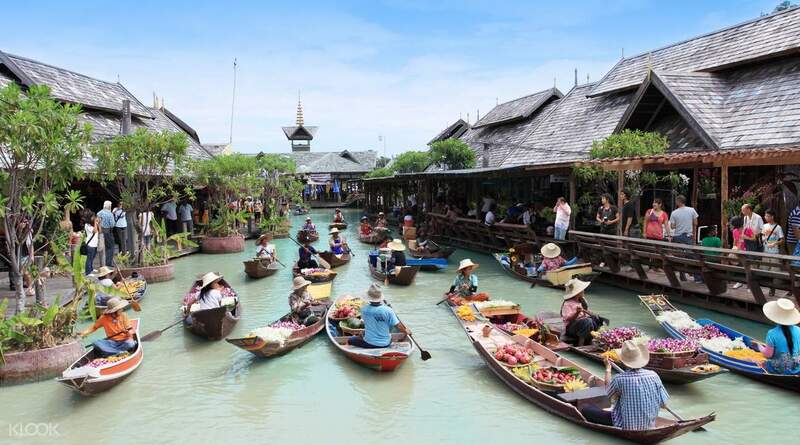 At first glance you would think that it is just a small market, but upon entering you would be overwhelmed by the number of shops and floating boat selling foods. Wide variety of items to buy from clothing, snacks, delicacies, as well as crocodile meat etc. You can try exotic food here, like crocodile and ostrich bbq. Vendors come to you using their boats. There are many choices of food that taste great. We also got to see a funny boxing match. Even when we only purchase the entrance fee for the walking tour, it was a worth it experience. You can try exotic food here, like crocodile and ostrich bbq. Vendors come to you using their boats. There are many choices of food that taste great. We also got to see a funny boxing match. Even when we only purchase the entrance fee for the walking tour, it was a worth it experience. Floating market activity is a good experience. Wide range of opportunities: food, shopping, boat trip. The market is really "artificial" one but worth visiting. When returnig to Pattaya, be prepared for tough bargaining with taxi drivers. Buffet lunch is good quality, and wide variety. Recommended! Floating market activity is a good experience. Wide range of opportunities: food, shopping, boat trip. The market is really "artificial" one but worth visiting. When returnig to Pattaya, be prepared for tough bargaining with taxi drivers. Buffet lunch is good quality, and wide variety. Recommended! Excellent family activity with children, lot of cultural learning with activities for children, shopping for adults and food delicacy for family. Bookings done through Klook gives lot of options for various activities. Klook bookings are best. Excellent family activity with children, lot of cultural learning with activities for children, shopping for adults and food delicacy for family. Bookings done through Klook gives lot of options for various activities. Klook bookings are best. Worth the visit to this place with plenty of things to see. Tour around with Amphibious boat to the culture village. There is a short zip line with distance of 300 meters to and fro at only 100Baht on site. Local food and drinks from the stalls and from the boat. Worth the visit to this place with plenty of things to see. Tour around with Amphibious boat to the culture village. There is a short zip line with distance of 300 meters to and fro at only 100Baht on site. Local food and drinks from the stalls and from the boat. Interesting place.. Love the fruits.. Have other attraction like foot fish spa..thai boxing show.. Goat feeding.. ..thank you klook.. Get cheaper price than walking price. Interesting place.. Love the fruits.. Have other attraction like foot fish spa..thai boxing show.. Goat feeding.. ..thank you klook.. Get cheaper price than walking price.